Ever since I unlocked my iPhone 4 using GEVEY Sim, I was facing battery drainage problems and also the area around the sim slot was getting over-heated. I thought my battery drain was due to iOS problems or over-usage. The main difference is they use different chips. The original one uses F981 chips. 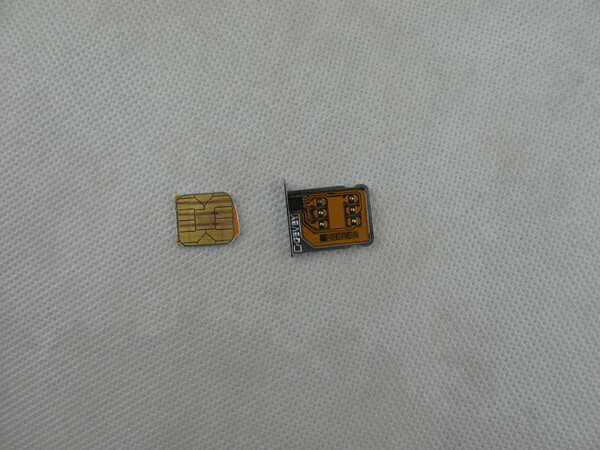 You can see the digital numbers on the gevey SIM (The black part). And the copy one uses F300 chips. The manufacturers usually wipe the numbers out, and you will not see any digital numbers on the black part. 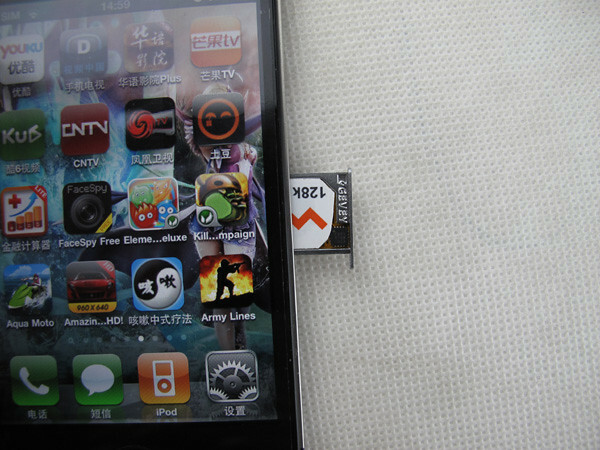 Only original Gevey SIM comes with F981 as they have bought out this chip in the market, so others can only use F300. And the original Gevey SIM drains less battery and has better signal reception. You may also want to read: Difference Between Real & Fake GEVEY Pro SIMs This immediately struck me and I got a pin and removed the GEVEY Sim tray from my iPhone and found that there isn’t any number on the black part of the IC chip. Also, I thought to do some Google research on F981 chips used in GEVEY. And I found a Chinese site telling about the F981 & F300 chips. There are many counterfeit GEVEY sims in the market, all are very similar in appearance, but they have a lot of problems. They likely cause unnecessary damage to the iPhone. Your eyes cannot easily distinguish between the original and counterfeits. After the Genuine GEVEY Sim is exposed to bright light, you can see the black chip has F981 written on it. Counterfeit GEVEY sim uses F300 chips. Fake sims use the process of hand-welding which is quite rough. F300-chip voltage ranges from 3.0 ~ 3.6V, so the SIM card operates at 3.0V. The original GEVEY sims operates at 1.8V. Also, the thickness of F300-chip is twice the thickness of the F981-chip. This can lead to GEVEY tray being stuck in the iPhone. It cannot easily get in or get out. Use of counterfeit sims is related to risks and consequences. The appearance and size is the almost same, but the difference is in the power consumption of the sim. This greatly reduces the standby time of the iPhone. Increased power consumption, mobile phone standby times are noticeably shorter. SIM card can cause problems ranging from permanent damage to the possibility of burning. 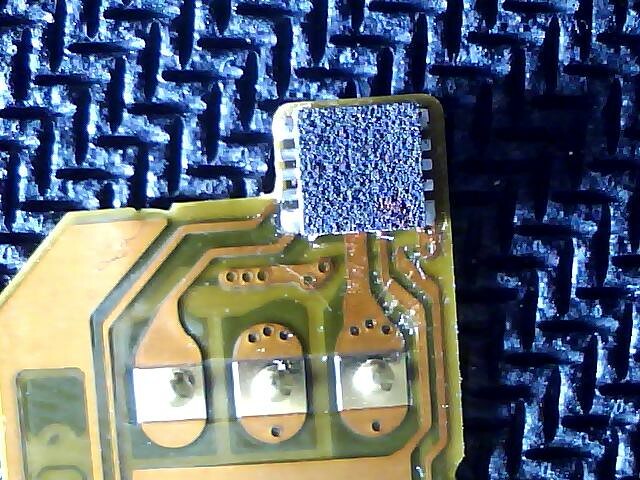 The Baseband chip can be seriously damaged. ApplenBerry.com had posted a tutorial on this page, but it seems to be gone now. Please tell us if you are facing the same problems, like battery drainage and over-heating of the sim in the comments below. Also tell us if F981 is printed on your GEVEY chip. And new buyers, don’t get scammed. Buy only after checking if F981 is printed on the GEVEY chip. Click the images for a larger view. 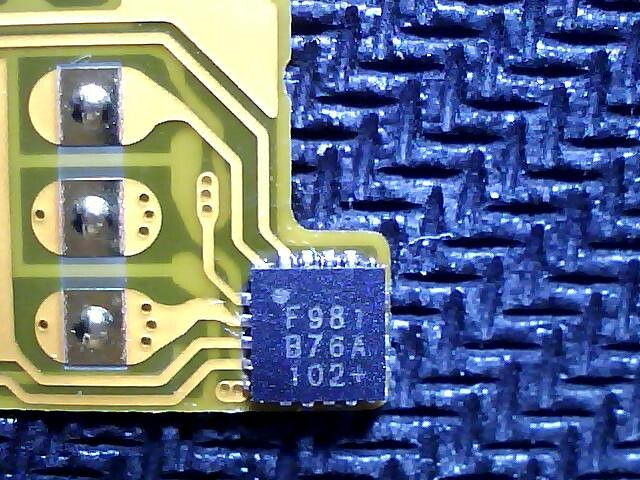 You can see F981 printed on the IC. I got it from Dill Huang’s Singularity blog. He was the first person to post how the GEVEY sim works, so he must’ve got the original GEVEY sim then, because at that time GEVEY was not launched to the public and chances of getting clones were zero. And certain persons have reported that the GEVEY Pro sim (ordered directly from Applenberry.com) doesn’t have anything written on the IC chip. So, it may have happened that the company producing GEVEY must have stopped printing F981 and other things on the IC chip. But, this will be the case only for the recent GEVEY sims. The older GEVEY sims which were brought in the initial period of the launch must have F981 printed on them. Link to Youtube video – This video shows a complete comparison of original and fake GEVEY sims (including the puter cover, the plastic covers, the manual, IC chip, etc).. The video also says that the GEVEY sim used in ApplenBerry’s first demo video had some extra design. The design changed in the later productions of GEVEY. I must tell people here that both GEVEY Sims work. You can call, send/receive texts, etc. But it’s the matter of quality, the GEVEY Sim from ApplenBerry gives you 100% quality, whereas the GEVEY sims from Chinese suppliers are clones. They are not 100% same as the original ones, but let you use your iPhone 4 to make calls, SMS, etc..